Tréport- Terrasse, on the right track ! Le Tréport, Seine maritime, France. 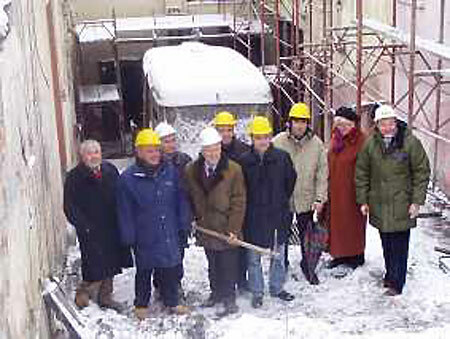 March 23rd, 2005.Some news from Le Tréport…The new project is on the right track. The project is at the moment in the phase of consolidating the rocks on the cliff. The manufacturer of the inclined lifts will be chosen in June 2005, the construction will start on August 2005 and the opening is planed for June 2006. MDP Ingenierie Conseil, Meylan, France is managing the project. 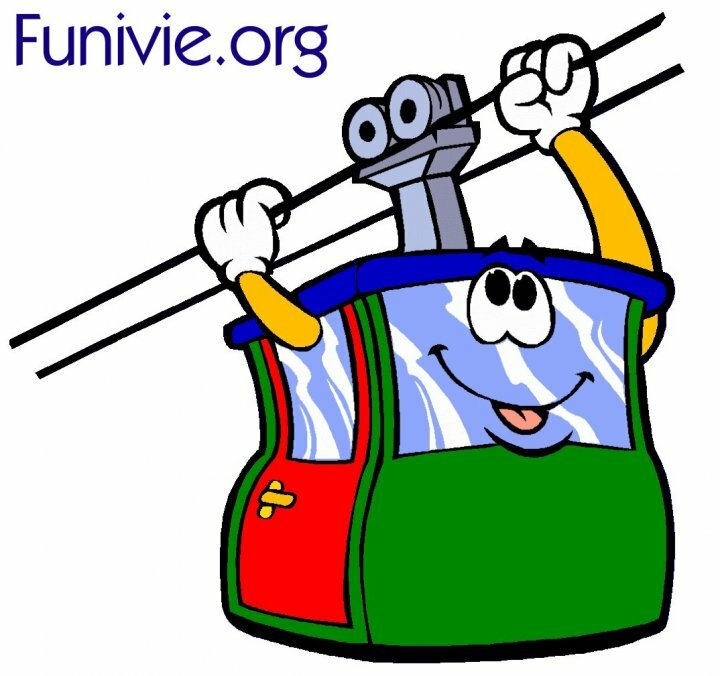 In fact the new funicular will be composed of two independent inclined automatic lifts. The two lifts will both pass thru the same tunnel (West tunnel). 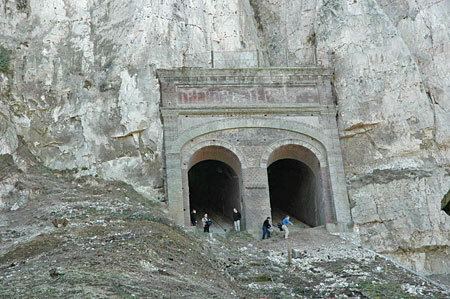 The other tunnel (East) will be unused unless it is necessary to increase the capacity. Each lift will be composed of a single cabin with a capacity of 14 passengers. 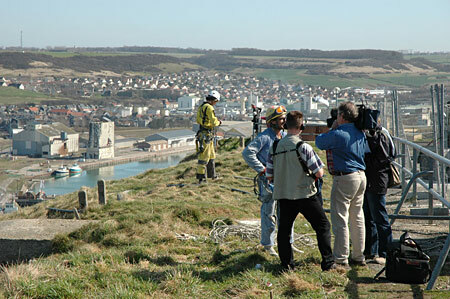 A France 3 Television crew interviewing the workers on the top of the cliff. The same France 3 Television crew interviewing MDP engineer inside the tunnel. Author FunimagPosted on March 28, 2005 September 22, 2006 Categories FranceTags France, Le TréportLeave a comment on Tréport- Terrasse, on the right track ! Author FunimagPosted on March 2, 2005 September 22, 2006 Categories ItalyTags Italy, MondoviLeave a comment on Mondovi, the first digging!